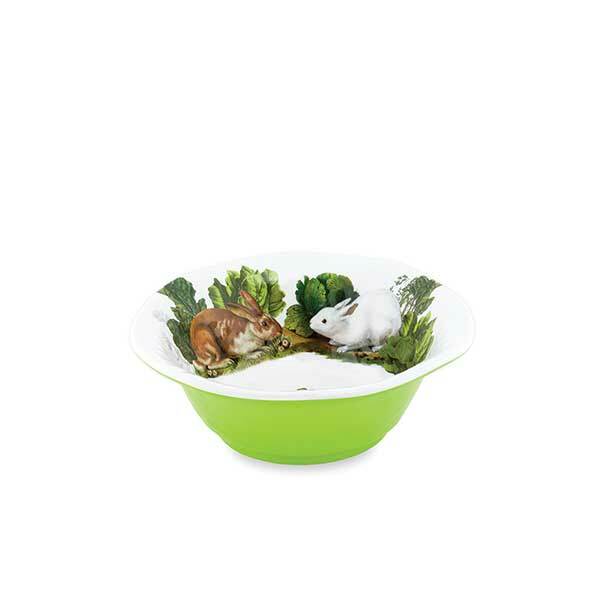 Garden Bunny Serveware Medium Bowl Shop the largest selection of Michel Design Works serveware medium bowl and more - Garden Bunny Collection. Plus free ground shipping on orders over $50. Potato salad, coleslaw, grilled veggies, corn and black bean salad - this melamine serveware bowl is exactly the right size for everyone's favorite side dishes. Approximate size: 9" x 3.15" / 23 cm x 8 cm.